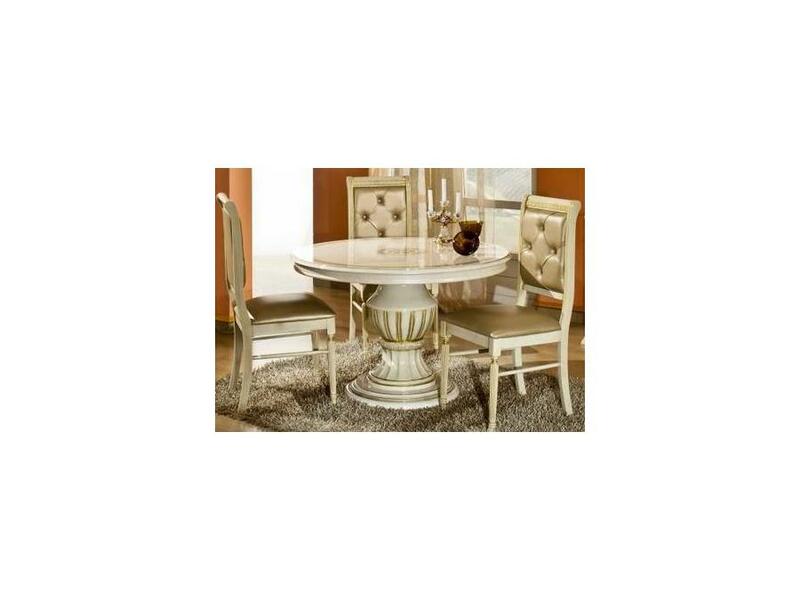 Made in Italy, the Rosella Round Dining Table remains true to its classical roots. 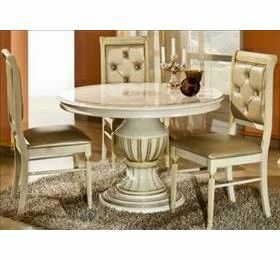 It features golden architecturally inspired Roman designs and columns on the legs. A gloss finish is applied to add the finishing touch to this classic beauty. The table can be used as pictured or it can be extended to create additional space. The Rosella Dining Table matches the rest of the Rosella Collection. Also available in black.